This week the countdown to Christmas continues and we are now just two weeks away from the day itself. The weather in these parts has been a degree or two chillier than before. But thankfully here has been almost daily winter sun although as time marches on relentlessly towards the shortest day of the year it has only shone for a few short hours before descending beneath yonder hills. This week I put up my Christmas decoration. Chez moi it’s not a case of decking the halls with holly, spraying glitter everywhere, or having a giant size tree strewn with millions of multicoloured baubles. I just have a few bits and pieces that I scatter here and there. Instead of a tree I have large twigs decorated with red bows, and hung with glass and ceramic decorations. One of my annual Christmas traditions is to add to my Christmas decoration collection every December. 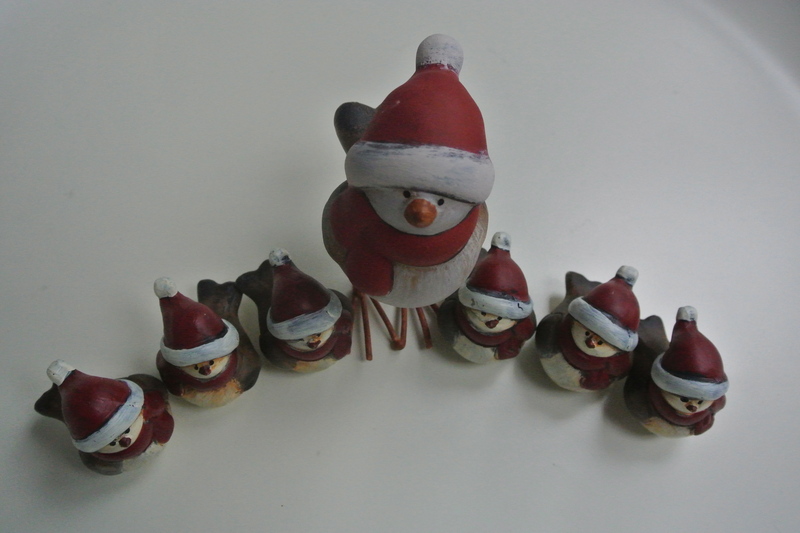 This year I bought a set of birds all dressed up as if they were about to go out carol singing. They are perched on a window ledge and when I hear Christmas music playing on the radio I imagine they are singing along. 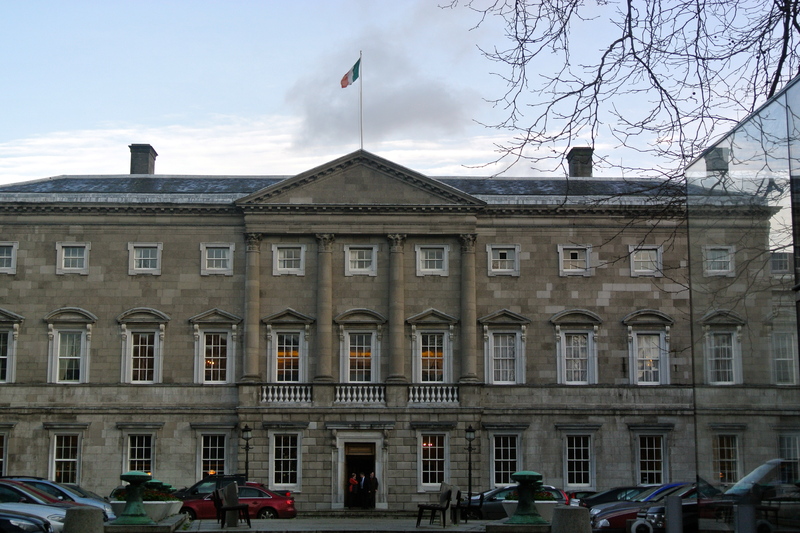 This week I visited Leinster House home to the two houses (Dail and Seanad) of the Irish Parliament. The blog is apolitical so there is no mention for any political party but I am very grateful to my articulate and intelligent local TD (MP) who invited me, as part of small group, to tour the parliament building and afterwards to tea in the member’s bar. The building is absolutely beautiful. It was built as a town house between 1745-1747 for the Earl of Kildare. It’s sometimes said that the building was used as a model for The White House and as the architect who designed the White House was an Irishman (James Hoban), who studied architecture in Dublin, it’s possible that he used some elements of Leinster House’s design as inspiration. This week I am reading Pigeon English and loving it silly. 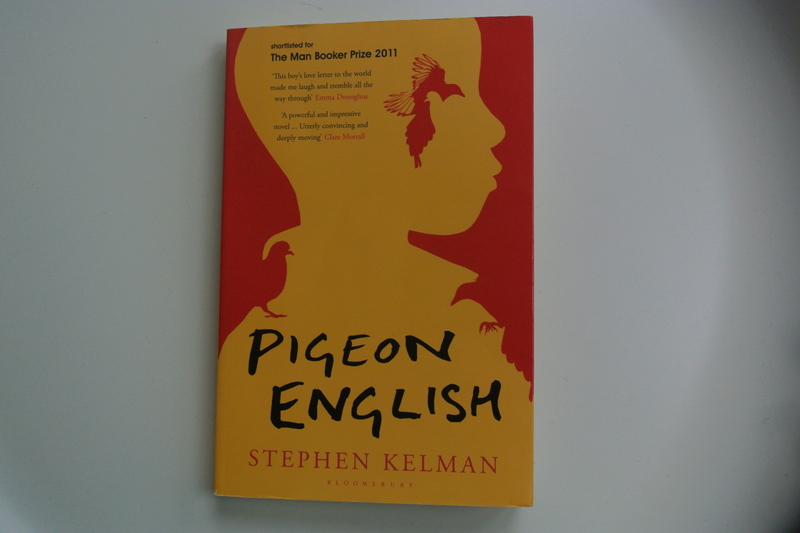 It’s Stephen Kelman’s first novel and was shortlisted for this year’s Man Booker prize. Despite the gritty urban setting and the depressing subject matter the story, as told by the narrator eleven year old Harrison Opoku newly arrived from Ghana with his mother and sister to the Dale Farm Estate in London, has a great deal of charm. In the story Harrison uses the word ‘donkey’ a lot, as an adjective and not a noun. Apparently it’s urban slang and means a long time e.g. ‘donkey’s years means many years. It takes me donkey’s hours to write a post and to crop and insert the images so I will finish up now while it’s still this week. Hahaha, love it, it’s taking me donkey years to get my Christmas shopping done! Have a wonderful week! Thanks for your good wishes and good luck with the rest of your Christmas shopping. Given your artist skills I would love to see some images on your blog of your Christmas vignettes. Interesting thought about some politicians! Given the state of the economy here Leinster House might well be up for a trade, altho obviously we could only expect the gingerbread replica of the White House. Lovely post – must try Pigeon English, it sounds great. 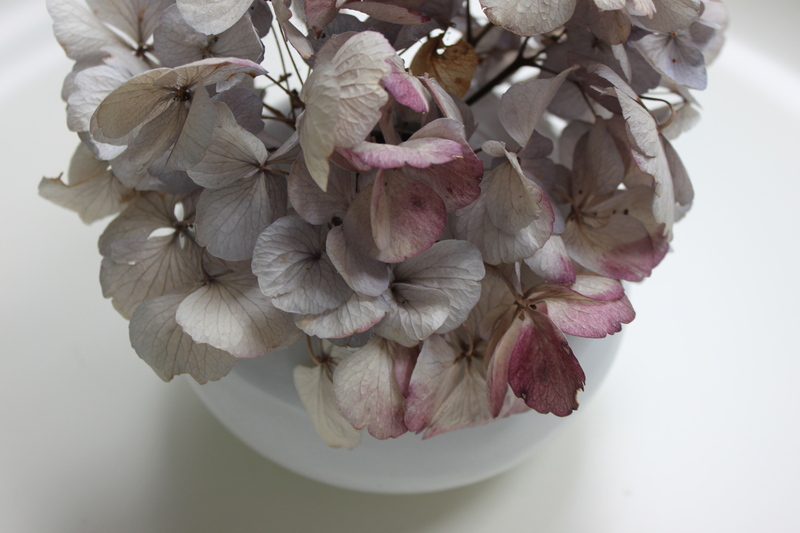 Been enjoying your shopping posts too – have you discovered http://www.makersandbrothers.com ? They have a pop-up shop in Blackrock – well, more of a pop-up shed – I think you’d really like their stuff. Thanks Sarah. I haven’t come across that pop up shop. Thanks for the tip I am just going to click the link. I hope that you have a lovely Christmas. All the best – B.